Now, this is a CD that I can really sink into. I think that I'd have to say that "tree" is probably my favorite song based on my first listen. Although they all definitely sound like songs that you're sure to be obsessed with in no time. 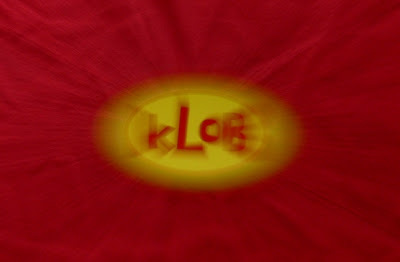 I get home and my my what a surprise - I have just received by post kLoB's* new CD graciously sent to me courtesy of Mr. Brain Jenkins!! Now unfortunately before I left Jacksonville to be a mountain girl I never got to see this quaternary of comrades. But thankfully, out of the goodness of his heart Brian bestowed upon me this fascinatingly brilliant four song CD. 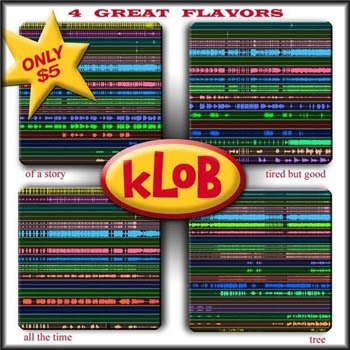 This is a considerably talented group of guys, and how do I know this if I've never seen kLoB before? Well, that's a good question - I know this because I've seen 3/4 of them in separate bands playing live right before my very eyes. There was even a time when Brian was attempting to give me drum lessons. I surely wasn't a worthy protégé but to my defense I still have down the basic beat!! 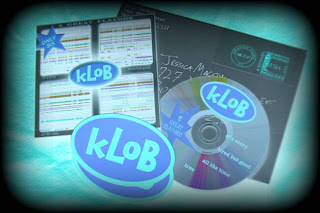 Anyhow, many thanks to Brian of kLoB* for sending me these wonderful gifts that I hope to help spread the word with. For starters this blog is an attempt at thanking you for creating this wonderfully recorded masterpiece; it really seems like you all put a lot of soul into it. I LOVE IT! "Brian Jenkins is Big Red, and he plays the drums. No, he is the rhythm – like his whole skeleton and blood and hair and smile and breath. He's good. Always in to something and always branching out and always helping someone in some way, he will be the same person when he is 80 that he is now, only better." So, take the time, and check them out. If you like them - let them know. Bands love to hear about how much you love them; am I right? then here's a CD you can relate too. I know I haven't been awfully descriptive about their sound but that's because I want you to hear them for yourselves!